As Director of Grants and Community Impact, Dan is responsible for working closely with the Development team to identify needs within the Diocese and address those needs through the granting process. 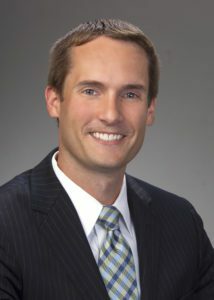 Prior to joining The Catholic Foundation, Dan worked at BMO Harris Bank as a Middle Market Analyst; JobsOhio as a Loan Officer; and Astute Solutions as a Business Analyst. He is a graduate of The Ohio State University, where he earned his undergraduate degree in Finance and his MBA in Strategy. Dan grew up in the Columbus Diocese, attending St. Andrew and Bishop Watterson. He lives in Upper Arlington with his wife Tess, and attends St. Andrew.